Good products, a pleasant customer experience and reliable service are foundational to Ebay success. I used to spend a lot of time on Facebook group pages dedicated to selling on Ebay. While I enjoy what I do immensely, this whole thing developed out of necessity and I didn’t have any choice but to adapt quickly and try to find any advantage I could to ensure success. There were a good number of people in those groups dispensing sage advice or helpful information on Ebay policy updates. Some folks found themselves in predicaments hitherto unknown and were asking sincere questions of more experienced sellers, who were often there to point them in the right direction and make their day a little easier. I learned a thing or two from those pages that may have helped me along the way but mostly, browsing those pages just made me frustrated over time. For every helpful post, there seemed to be two that were rants about a bad customer when in reality the poster was oblivious to their own failings as a seller. Judging from the sellers in those groups, I began to believe that some were ill-suited to the task with which they’d burdened themselves. Or perhaps, they were just unaware of what’s expected in the buyer-seller relationship. Maybe they never worked in a retail setting or have little or no shopping experience to inform their selling sensibilities. Fact is, the world we live in today is not the same world I grew up in. We all come from different backgrounds and circumstances but there are some key principles to Ebay success that we can all benefit from employing. Your number one consideration as an Ebay Seller should be the quality and condition of the items you are selling and your description thereof. It’s okay to sell items that aren’t top of the line or the most expensive in their category, just so long as your description and photos give an accurate representation of the item you’re selling. You should never sell a piece of junk and call it anything else. Don’t make claims in your listings that you haven’t researched thoroughly or to overstate the prospective value of the item being offered for sale. Pay close attention to the photos you take and include in your listings. Always use photos of the actual item being sold. Crop your photos so that prospective buyers don’t waste their precious time clicking and zooming in on all your photos. Clear, properly focused, well-lit photos will give customers a clear expectation of the item being purchased. Include as many photos as possible(different lighting, angles, sides, disassembled) without duplicating yourself. It helps to have personal knowledge of what you sell but varying degrees of research may be necessary to give an accurate description. 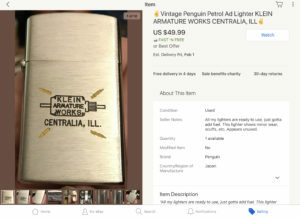 I sell Zippo and other vintage cigarette lighters and there are plenty of times that I already possess all the information I need without researching a particular lighter. Other times, I’ve spent hours trying to scare up a single reference to a lighter I’m completely ignorant of. Case in point, I have this lighter(in the video above) that I know will sell. 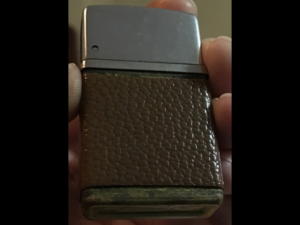 It’s made of sterling silver, branded Tiffany & Co. and manufactured in Germany by KW Karl Wieden, features that each on their own would make the lighter desirable. All that information was gleaned from the stamps and hallmarks on the base of the lighter, save the manufacturer. It took me about six months to figure that out by sifting through Google search results of similar lighters. But this brings me to another issue, the lighter doesn’t quite function properly. It seems to hold butane fine without leaking. When struck, it lights immediately. 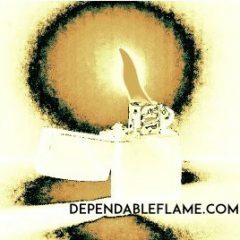 But you never know what the flame’s going to look like or how it’s going to act when you light it. The flame adjustment screw doesn’t work properly and I, thus far, haven’t been able to fix it. 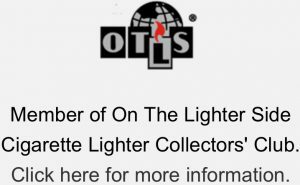 Generally, I sell working lighters. Part of my desire to sell quality items includes the fact that the lighters work. But if I fail to get the flame adjustment fixed on this lighter, it doesn’t mean I can’t sell it. There’s still quality and value, I just need to very clearly describe the functional condition of the lighter when I list it. I believe offering “free shipping” is the easiest thing a seller can do to simplify the transaction and make it more efficient for the buyer and for themselves. Who wants to go through listings, doing math in their head just to determine the cost to actually purchase and receive an item? Examples of listing photos with bad lighting. It’s easy enough, as a seller, just to build the shipping costs into the price of your listing or(as I do) build them into the baseline cost of doing business. The vast majority of the items I sell are small, under four ounces. First Class Package will get them there in 2-4 days for under three bucks. So, to figure this into the cost of my business, I don’t sell anything for less than fifteen bucks. I also don’t list anything that I wouldn’t pay at least that much for. 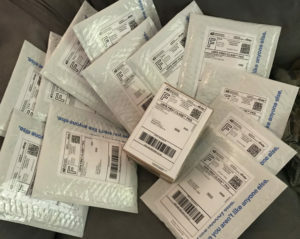 If you sell less expensive items, maybe you can employ “free shipping” on multiple item purchases to offset some of your incurred shipping cost. If you sell large, heavy or bulky items, this may be more difficult to do. “Free shipping” isn’t actually free, so make sure you account for actual shipping costs when setting your asking price or accepting offers. And again, this is where your well-cropped photos come in to help you by helping your customers. Don’t make your customer expend any more effort than you must. Don’t make them work harder to buy your item. The more effort you make taking and editing photos will result in more sells, I promise. With more customers viewing from a mobile device, well-cropped photos bring you item closer to potential buyers. Leave feedback for your buyers as they make payment. This will signal to them that their part of the transaction is complete, you are aware of their purchase and are busy completing your side of the sale and getting their purchase sent to them. I have written further about feedback here. Answer customer questions in a timely manner. Catching up on these once a day will probably be fine but there are times when an immediate response might reel in the fish on the line. Think about your own behavior as an online customer. I know I’m much more likely to purchase an item when I put it in my cart. If I let it sit there long enough to give it much thought, I usually talk myself out of purchasing the item online. Maybe the most important thing to remember: your customers are not your enemy. Just like everywhere else in the online world, Ebay has trolls, scammers and thieves but they are not the norm. Every seller gets bit by bad customers so why let that affect the good ones who just want to hand over their hard-earned money for that quality object you have for sale? Ebay Sellers should set clear policies that fit the day-to-day function of your operation while maximizing ease and efficiency of the transaction for your customer. Every policy decision you make does not have to break in the customers favor but you should be able to at least strike a balance that is appealing enough to customers to make your store stand out without adding too much burden on yourself. I would love to hear your input on what it takes to run a successful Ebay business. You can use the comments section below for that or to ask any questions about selling or buying on Ebay. Previous Previous post: The Great Ebay Feedback Debate: Should Ebay Sellers Leave Feedback for Buyers?